Sidekick is here for you every month with a smashing line-up of alternative and ridiculously good comedy. Still only £2 or FREE with Student ID card. Downstairs at Via (the Polari Lounge) on Canal Street. 7:30 Doors for 8PM Start. 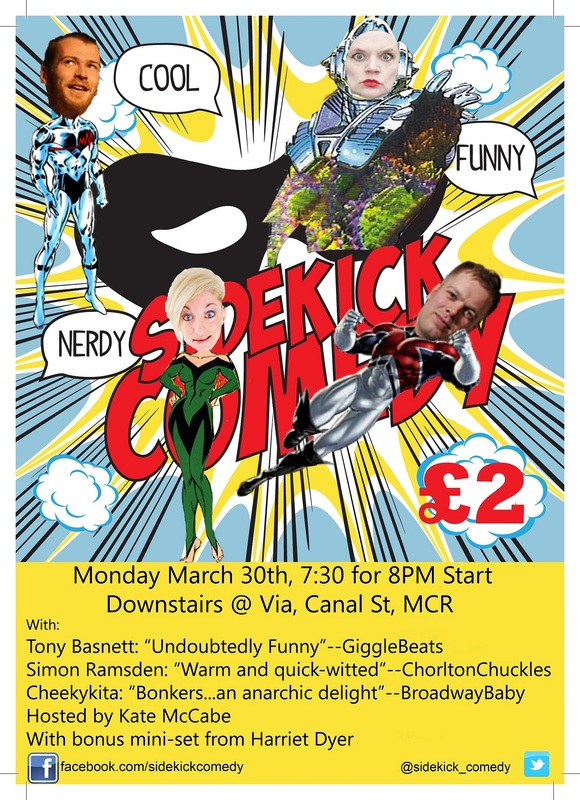 This entry was tagged Alternative Comedy, Cheekykita, Harriet Dyer, Kate McCabe, Manchester Comedy, Simon Ramsden, The Gay Village, Tony Basnett. Bookmark the permalink.